Investigators have uncovered genetic variants in a gene called Nudix hydrolase 15 (NUDT15) that seem to coincide with treatment-related complications in individuals of European ancestry with inflammatory bowel disease (IBD). Roughly 15% of IBD patients treated with thiopurines such as mercaptopurine experience adverse drug responses that require them to discontinue treatment. For example, past studies suggest that genetic variants in a TPMT gene coding for a thiopurine S-methyltransferase enzyme are involved in producing methylated, less active metabolites from thiopurine drugs. 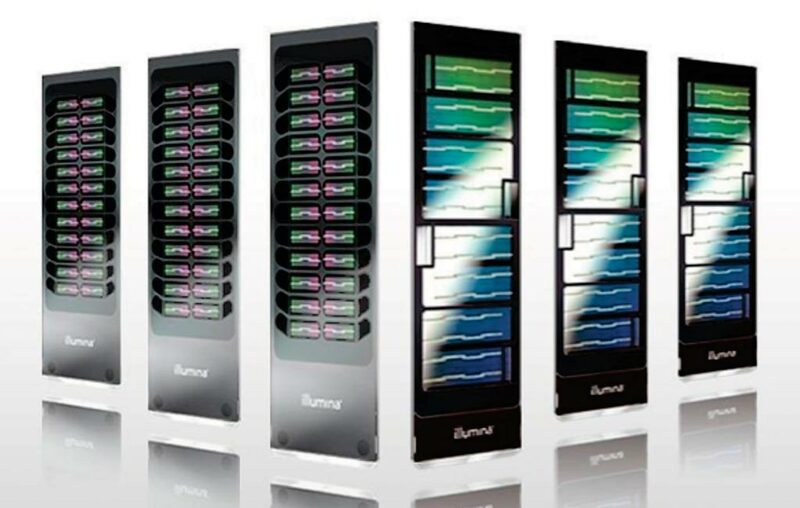 Image: Infinium arrays: microarrays are the ideal platform for assessing known markers in the human genome (Photo courtesy of Illumina). A large international team led by those at the Royal Devon and Exeter Hospital (Exeter, UK) carried out a case-control study of 491 patients affected by thiopurine-induced myelosuppression (TIM) and 679 thiopurine-tolerant unaffected patients who were recruited from 89 international sites between March 2012 and November 2015. Genome-wide association studies (GWAS) and exome-wide association studies (EWAS) were conducted in patients of European ancestry. The replication cohort comprised 73 patients affected by TIM and 840 thiopurine-tolerant unaffected patients. TIM was defined as a decline in absolute white blood cell count to 2.5 × 109/L or less or a decline in absolute neutrophil cell count to 1.0 × 109/L or less leading to a dose reduction or drug withdrawal. The team used Illumina Infinium arrays to genotype 311 IBD patients with and 608 without thiopurine-induced myelosuppression at nearly 245,200 variants. The team reported that the GWAS analysis confirmed association of TPMT (chromosome 6, rs11969064) with TIM 95/311 (30.5%) affected versus 100/608 (16.4%) unaffected patients; odds ratio [OR], 2.3). The EWAS analysis demonstrated an association with an in-frame deletion in NUDT15 (chromosome 13, rs746071566) and TIM 19/328 (5.8%) affected versus 1/633 (0.2%) unaffected patients; OR, 38.2, which was replicated in a different cohort (2/73 (2.7%) affected versus 2/840 (0.2%) unaffected patients; OR, 11.8. Carriage of any of 3 coding NUDT15 variants was associated with an increased risk (OR, 27.3) of TIM, independent of TPMT genotype and thiopurine dose. The authors concluded that among patients of European ancestry with IBD, variants in NUDT15 were associated with increased risk of TIM. These findings suggest that NUDT15 genotyping may be considered prior to initiation of thiopurine therapy; however, further study including additional validation in independent cohorts is required. 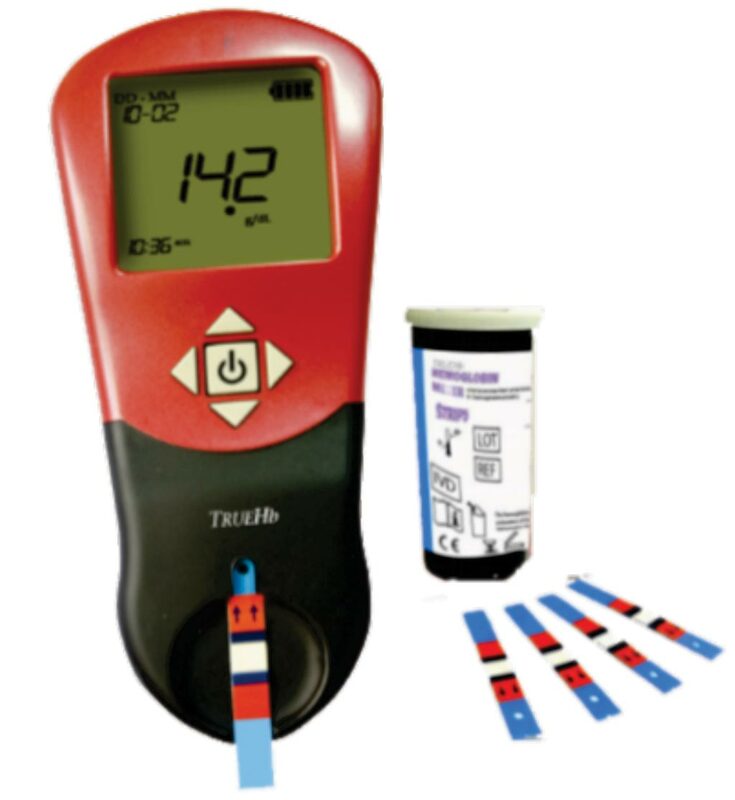 Gareth Walker, MRCP, a gastroenterology specialist and first author of the study, said, “We hope that once a predictive test is developed, patients will be able to have a simple blood test before starting these drugs. This will allow doctors to modify treatments, either by reducing the dose or opting for different treatment altogether.” The study was published on February 26, 2019, in the Journal of the American Medical Association.